The urban strategy for the Cultural Auditorium of the City of Cuernavaca, Morelos, is based not only on the understanding of the historical, archaeological, social, cultural and environmental value of the site, but also in the potential of the urban context. The architectural and design components generate a dialogue with the natural elements in a way that the archaeological features and visuals are enhance. 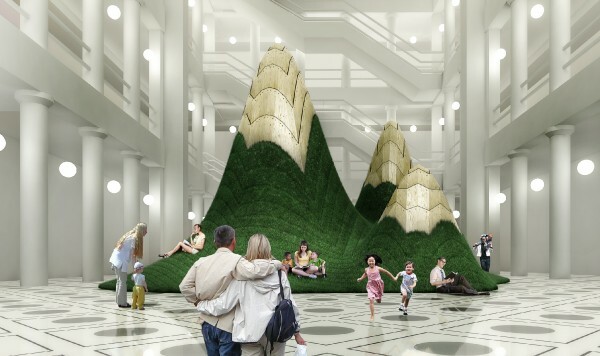 The proposal is presented as a contemporary piece of architecture featuring flexibility, high-performance and the capacity to engage a dialogue with its natural and built environment. The structural design strategy, tectonics and materiality of the project feature a low construction cost but with a high quality investment impact for the city, guaranteeing a low maintenance and operation cost for the future. The Cultural Auditorium is considered a strategic building for cultural and artistic activities to strengthen the history and tradition of the City of Cuernavaca. Recognition and understanding of the historical and archaeological value of the site. Open dialogue with its natural surroundings. Public space as a linking component of the social, cultural, educational and artistic activities. The new Cultural Auditorium is integrated in the Cultural Corridor of the Morelos State Government, along with Teopanzolco Archaeological Site, the old Train Station, the Juan Soriano Museum, the Palacio de Cortés, the Armas Plaza and the Zócalo. The strategy presents the auditorium as a key element for cultural, social and artistic development as well as a space for social integration and community life for all social groups. The project general strategy (and competition brief guidelines) is centered in the analysis and recycling of an existing auditorium located in the middle of the site, taking full advantage of its main structure and footprint boundary in order not to generate new excavation areas that could endanger potential archaeological pieces. The project proposes the addition of key structural elements to the existing ones adding more roof area for the 1,500-seat auditorium. 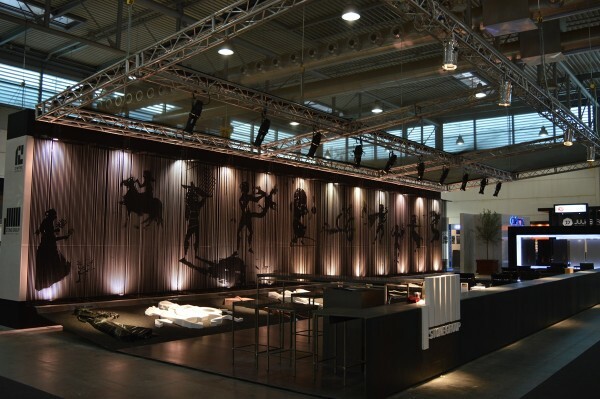 Such structure is design in a way to allow maximum transparency but with minimum visual impact, enabling for all kind of cultural, social and artistic events to happen while maintaining the horizontal profile that dominates the surrounding area. The project sits in a 1,400-square-meter platform with retractable seats allowing a wide range of activities to happen, representing a spatial condition for maximum space use and profitability, ensuring economic income for maintenance and progressive modernization over time; the goal is to create a self-sustaining building. The project also integrates sustainable and environmental design criteria, such as the optimization of environmental conditions like temperature control, rain water reuse, solar energy, waste recycling and so on. 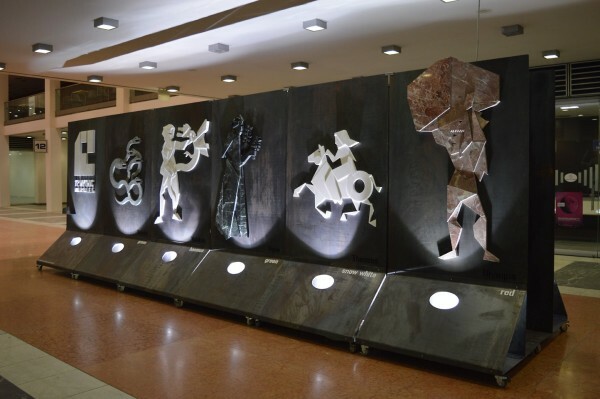 The Auditorium is consistent and closely linked to policies, strategies and governmental programs established in the National Development Plan for cultural, art and social development. The proposal creates a space for dialogue, interaction and social integration so much needed for the City of Cuernavaca. 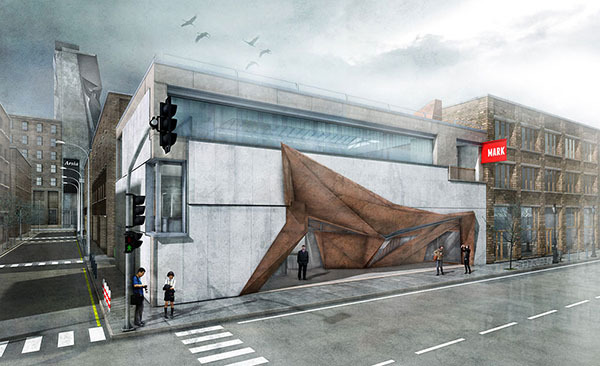 The proposal creates a space for dialogue, interaction and social integration. In recent years, Cuernavaca has been characterized as a city that promotes art and culture but still focalized on mid to high income population; the project aims to create a cultural platform with valuable experience for local and visitors alike, reinforcing the city’s cultural agenda. The competition guidelines specified that no new structures or architecture should extend beyond the existing auditorium footprint, for that reason, the project proposal reuse the existing foundations and steel structure. The original footprint geometry remains untouched but the usable area grows by “floating” walkable platforms to the north and south facades, taking advantage of the large span that the original column grid presents; thus, new space is created without the need to have new foundations or interventions on the natural soil. The program located on the north wing of the project is used to house the ticket and information booth, restrooms and wardrobe, while the south extension houses the stage and proscenium area. The project proposal reuses the flat platform of the existing auditorium to locate the retractable seating area by just reinforcing and adding height to the existing columns, by doing so, the area is now able to host a wider variety of events such as music and theater performances, social and sports events, exhibitions and so on. The interior space flexibility is reached through the implementation of a retractable seating system, guaranteeing the best visual and acoustic experience for 1,500 visitors. 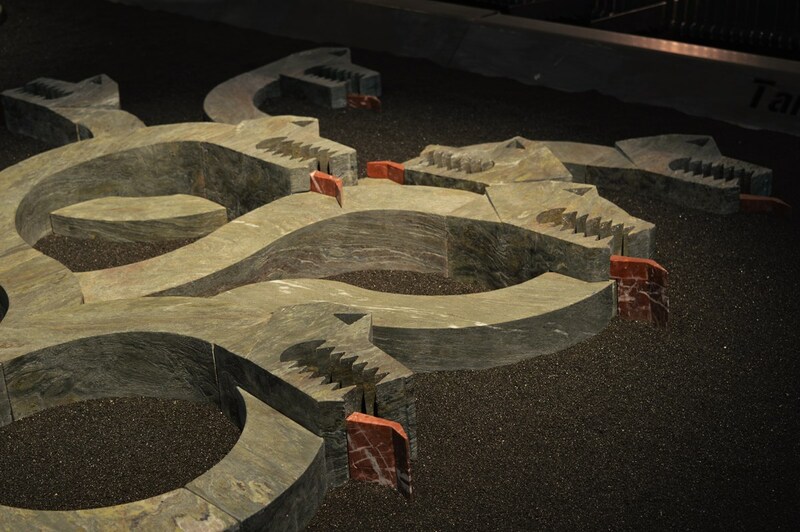 An urban grand stair is located on the east façade of the auditorium reinforcing the link between the auditorium and the archaeological site; this geometrical gesture creates a direct dialogue between the spectator, the artist, the urban visitor and the archaeological site of Teopanzolco. Team: Claudio Nieto Rojas, Fernando Kido Kerse, Guillermo Delgado de Itta. 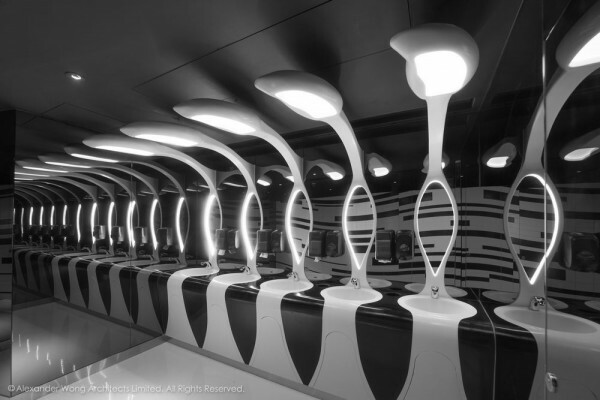 In the midst of unprecedented chaos at Mongkok caused by Civil Unrest right next to Langham Place Shopping Center, one discovers a brand new Black & White Toilet with Futuristic Street Lamps called “Gravity Restroom” recently opened to the public. Built as part of Pegasus Entertainment’s first Flagship “Cinema City Langham Place” designed by Alexander Wong Architects, this futuristic-looking cinema has an entrance named “Rose Futura” in Ultra-Blue and Azure “Cloud Atlas Tunnels”. Inspired by the films of Hong Kong’s renowned Film Director Wong Kar Wai [from his debut “As Tears Go By” (1988 — also called “Mongkok Carmen” in Cantonese) to “2046” (2004)], the design here is an homage to Hong Kong’s bygone “New Wave Cinema” with an unexpected Sci-Fi twist. The bias of SO/AP agency was to design an urban pattern generated by tools for parametric programming. The urban grid, the study of heights and typology of housing are the optimized results from simulations between a 3D parametric design software, and software for environmental analysis. All data as solar radiation, natural lighting condition, thermal performance and water consumption have been integrated to the urban design from the beginning. In order to benefit of the ski lift both in summer and winter, the city is implanted at the foot of the skiing plateau and extends westward into the hillside in order to preserve as much plain in its natural states as possible. As this plain is serviced at is two end points, the projects also plan to build two gateway permitting simultaneous the access and the storage of the goods without having to access to the city. X|Atelier is organizing an international intensive workshop of Advanced Architectural Design. The X|Pixel[ism] Winter Workshop 2014 is led by X|A principals Erick Carcamo (SCI-ARC) and Nefeli Chatzimina (USC) both Graduates of Columbia University in New York City, GSAPP AAD. The X| Pixel[ism] Workshop is organized under the auspices of the Hellenic Institute of Architecture and the Athens School of Fine Arts. 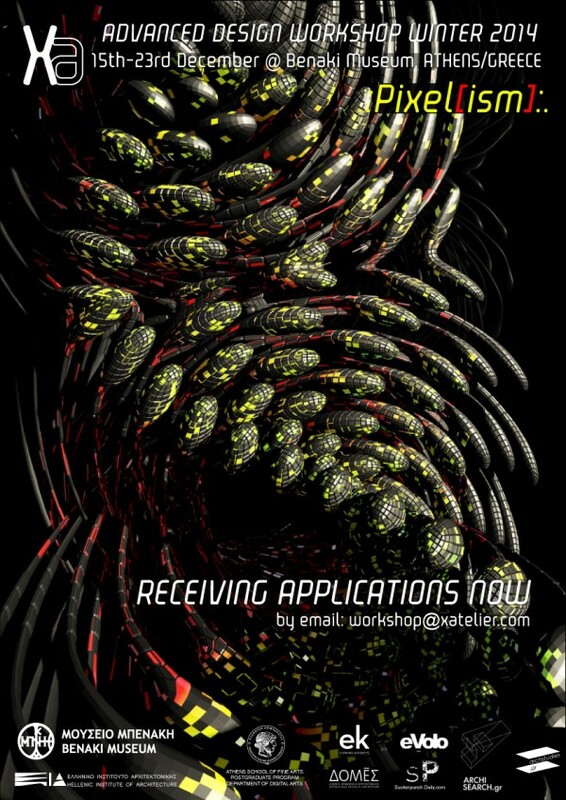 Selected Participants will attend the Computation Workshop, the Final Review and Exhibition at Benaki Museum of Athens from the 15th -23rd of December 2014. Daily meetings will take place from 10am to 6pm at the Benaki museum of Pireos 138. As part of an ongoing academic research, X|A workshops introduce participants into contemporary discussions of formal exploration in Architecture and Art. Through technical attainment of design and digital production the X|A Workshops give the opportunity to students of Architecture and Art, Professional Architects, Designers and Artists to challenge new design territories. Our goal is to explore innovative, potential architectural expressions of the current discourse around Form through computational tools (Autodesk MAYA). We will focus on technique elaboration, material intelligence, formal logic efficiencies and precision assemblies as an ultimate condition of design. The workshop will develop and investigate the notion of proficient geometric variations at a level of complexity, so that questions towards geometrical effectiveness, accuracy and performance can begin to be understood in a contemporary setting. The workshop is a discourse based in the use of multi-layered techniques and production processes that allow for control over intelligent geometries, calibration of parts, and behavioral taxonomies, normalizing an innovative held of predictability. 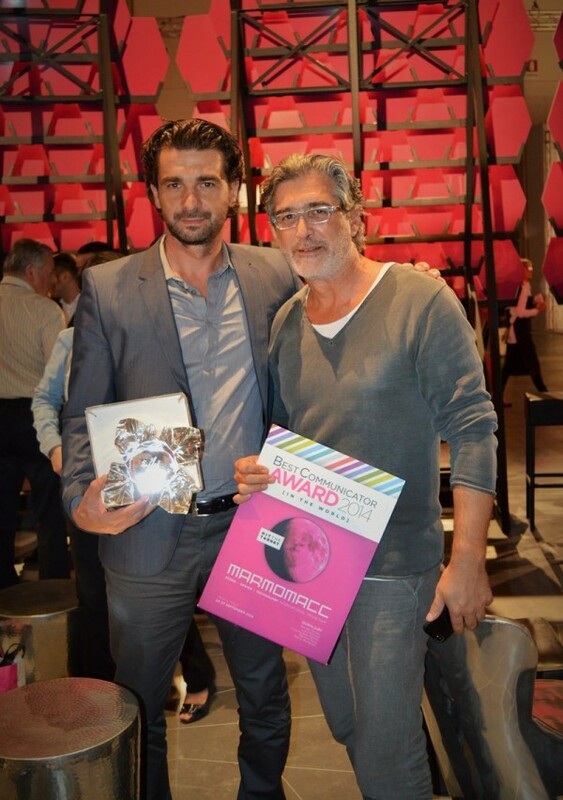 “In the World” Category of Best Communicator Award 2014, the first Prize was granted to STONE GROUP INTERNATIONAL, with the project “Breathing Life into 12 Mythic Marbles” by Architect Michalis Theofilou. The award received the President & CEO of the company, Yiannis Antoniadis. 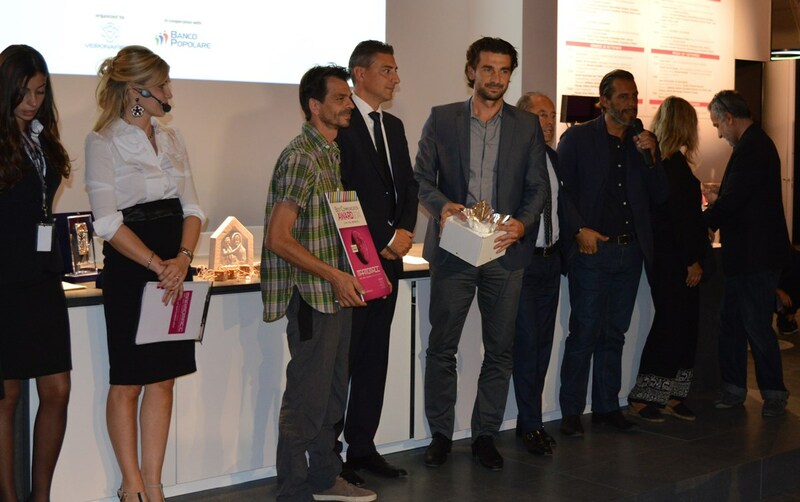 A prestigious jury has been appointed for the Best Communicator Award for exhibitors attending Marmomacc and Abitare il Tempo who enhanced the importance of their exhibition space and exhibits as a means of communication. 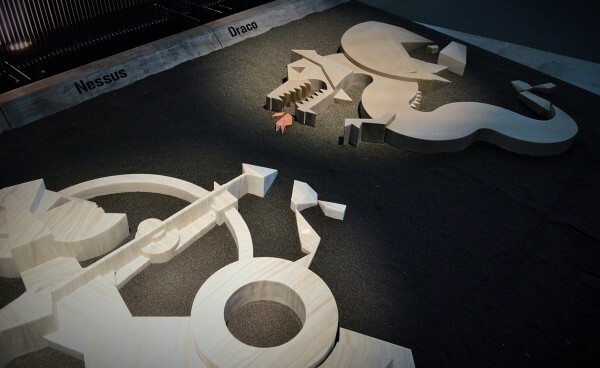 They awarded Stone Group International for having “created an evocative set-up capable of combining the myths of ancient Greece with contemporary stone processing”. Company’s marketing department along with the associate architects of ARCHKT Ltd and dolphins // communication design team, applied Moire Technique ( two almost similar patterns on a flat or curved surface) under Gestalt Principles ( the whole is other than the sum of its parts), to create “12 Mythic Marbles” projectile motion, activated every time by visitors steps. They have transformed company’s Booth into a theatrical scene of 144 sq m, where an art craft work force created the leading actors, the “12 Mythic Marbles” sculptures. Behind them, a unique visual movement displayed their aerial figures and their sculpture enactment in an unforgettable way. The team thought of marble’s role not only as something static, tough inside, cold and isolated material as being referred according to its geological resources, but also as energetic “universe of value”. Stone Group International is a leading world marble supplier, an ambassador of Greek marble and entrepreneurship worldwide, with presence in more than 72 countries. Company’s expertise is based on in-depth knowledge of materials – seeking, finding, selecting, processing & trading more than 300 types of marbles, granites & natural stones, with annual capacity amounted to 650.000 m2 under the most innovative mechanical equipment. The company cooperates with the largest clients globally and their renowned architects, for the specification of marbles in commercial & residential building projects.